Gracie Foster was due to have her tonsils removed before she became unwell, a coroner hears. 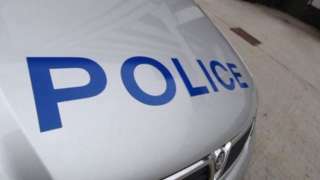 Two men and a boy are charged with being members of banned far-right organisation National Action. 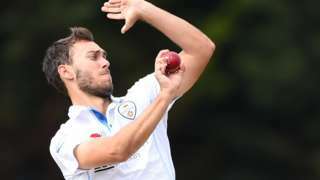 Strugglers Northants recover from two poor sessions to end day one on a high at home to Derbyshire. 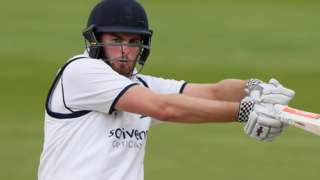 Warwickshire vice-captain Dom Sibley hits 106 as the Bears bowl out Leicestershire for 100, then reach 190-3. 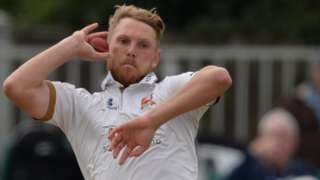 Nottinghamshire fight back against Essex after being bowled out for 177 on day one at Trent Bridge. 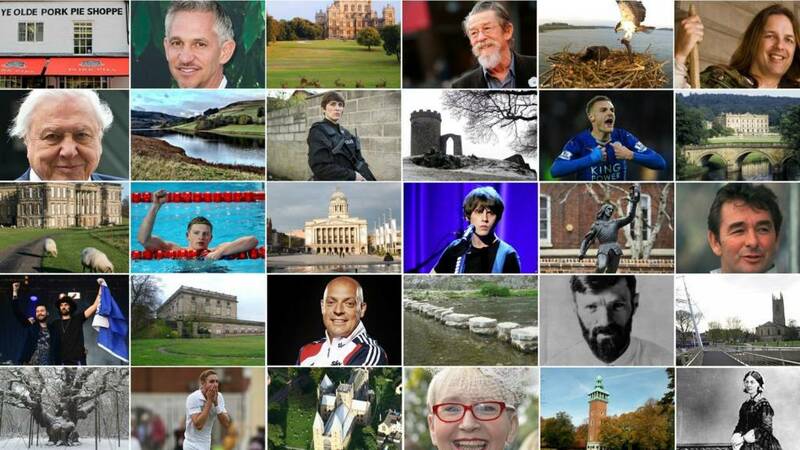 East Midlands Live has now finished for the day however updates from BBC articles may still continue to appear. The live page starts again at 08:00 on Tuesday. This evening will be dry and fine. Later in the night cloud will thicken and there will be an increasing chance of rain spreading from the north-west. A gentle to moderate southwesterly breeze. Rather damp through the morning tomorrow with cloudy skies and spells of rain. Into the afternoon the rain may clear to the south with a chance of some brightness towards evening. A gentle westerly breeze. 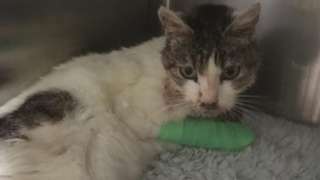 A dying cat, two dead cats and pig body parts were found in a carrier bag dumped with rubbish. Oh deer, oh deer - this is not what you want at a picnic. This deer gatecrashed a charity teddy bears' picnic at Wollaton Park on Sunday. Rachel Towlson said the deer trampled over picnic blankets and pinched all the fruit from the picnic baskets. A spokesperson for Wollaton Park said: “Visitors and deer have lived harmoniously at Wollaton for years and incidents are extremely rare. "We would always ask people not to approach, touch or feed the deer and just use their common sense. The company behind the running of Nottingham's trams has said it welcomes the findings of a report investigating how a pushchair became closed in tram doors and dragged to the next stop. A NET spokesman said: "We’ve worked closely with the organisation to establish what lessons can be learnt from what was an unfortunate but very unusual incident. “We welcome the RAIB’s findings and are now studying the full details of the final report, although many of its recommendations have already been implemented. 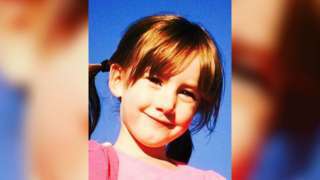 A four-year-old girl died from a meningococcal infection hours after she was sent home from hospital. 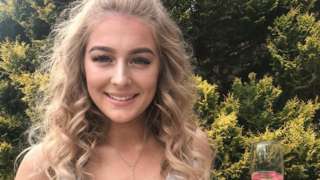 Gracie Foster went into Chesterfield Royal Hospital for a routine tonsil removal operation three years ago but the surgery was cancelled when she became unwell on the ward, her mother Michelle Foster told an inquest. But within hours her daughter became much worse and was taken to Sheffield Children's Hospital where she died the same day. Miss Foster, from Old Whittington, near Chesterfield, said: "In hindsight, I feel really stupid that I trusted [the doctor]." The inquest is due to conclude on Friday. Five teenage boys have made their first appearance in crown court after the death of a man in Nottingham. The court room was packed with the families and friends of those involved in the case. Twenty-year-old Esrom Ghide died after being stabbed at Hyson Green in the city last Wednesday evening. Three 14-year-old boys and two 16-year-old boys appeared at Nottingham Crown Court charged with his murder. The defendants, who did not enter a plea, spoke only to confirm their names, which can’t be reported because of their ages. Meanwhile the police have also arrested another 16-year-old boy, in connection with the same investigation, on suspicion of murder and attempting to pervert the course of justice. 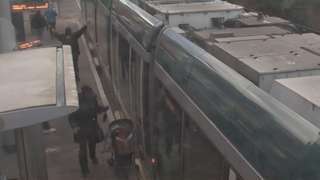 The tram driver failed to see the empty pushchair had become trapped at a stop in Nottingham. The 18-year-old was a passenger in one of two cars that collided and both drivers were arrested. A46 Leicestershire southbound severe accident, between B676 and Park Hill Lane. A46 Leicestershire - A46 in Six Hills closed and queuing traffic southbound between the B676 junction and the Park Hill Lane junction, because of an accident. Congestion to Willoughby on the Wolds Turn off. Considerable changes to constituencies in the East Midlands have been revealed by the Boundary Commission for England. In Nottinghamshire, Rushcliffe is split down the middle with part of it joining a new Loughborough and South Rushcliffe constituency, and Gedling disappears entirely with it being absorbed by the constituencies around it. In Leicestershire, Lutterworth joins with Daventry in Northamptonshire to form a new constituency and a new Harborough, Oadby and Wigston constituency is also formed. 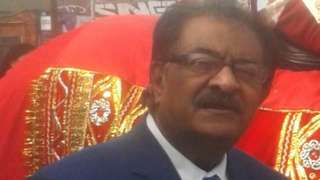 Ramniklal Jogiya was bundled into a van and tortured in a plot to steal £200,000 of gold jewellery. One of Ramniklal Jogiya's sons told he court he felt like he had let his father down by not being there when he needed him the most. Mr Jogiya and his wife had celebrated their 49th wedding anniversary on 21 January, only three days before he was killed. The judge said instead of celebrating their golden wedding next January the family would be haunted by the thought of what he went through the night he was killed. The judge responsible for sentencing the three men responsible for the death of jeweller Ramniklal Jogiya said Jervis, right, was “the brains behind this operation”. He said the 24-year-old had planned the crime and recruited the other men. Mr Justice Martin Spencer said Jervis and Mcauley, middle, were both in the van when Mr Jogiya was tortured and had intended “really serious harm” but had not intended to kill him. The judge said that Reeve, left, was a lookout and had not intended really serious harm to come to Mr Jogiya. Mr Justice Martin Spencer said: "We will never know exactly what happened in the back of that van. Perhaps Mr Jogiya was simply obstinate and refused to tell you [Jervis and Mcauley] what you wanted to know.